Simply select a order. 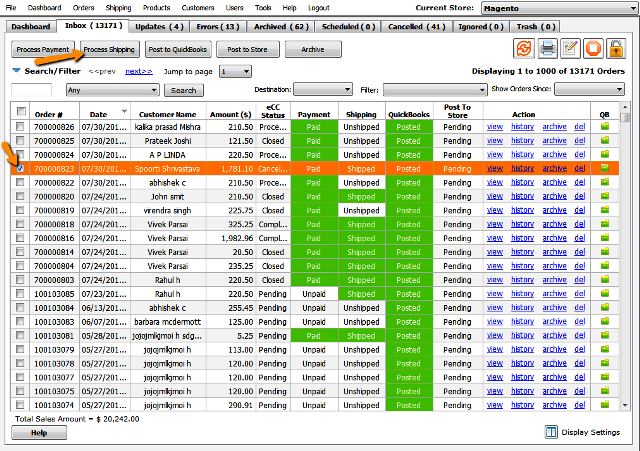 Once done, click on process shipping, choose your provider and fill in all required settings and generate a label. 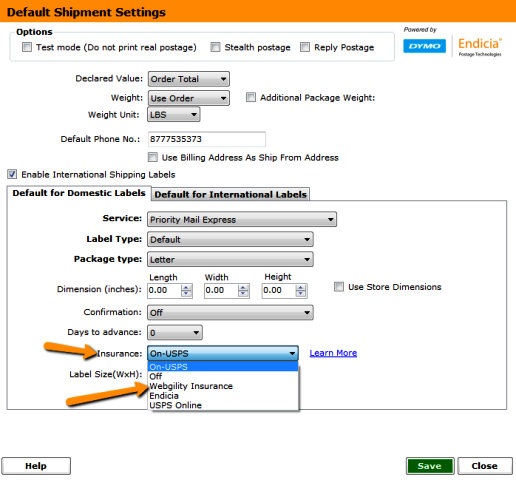 Once in the process shipping screen, set a declared value and then click on Add Webgility Insurance. If you have not set it as a default, you will be given the option to Add Webgility Insurance for an amount that is based on your declared value. As soon as you click on Add Webgility Insurance, You will be given a brief prompt on the benefits of using Webgility Insurance. Click on close to continue to the process shipping screen. If you wish to use Webgility Insurance as the default insurance provider for all future transactions, place a checkmark in the box as shown below before you hit close. Remember, Since the insurance amount is directly based on the declared value, it will change with a change to the declared value as shown below. Once you have made your selections, click on Generate Label to generate a label and create your insurance policy number. To void the label and the policy, double click a shipped order in the Unify Desktop Dashboard to open up the order details page, and click on void. That would void the label and the policy. If for some reason the policy does not void, you will get a prompt with the policy details and the number for our partners InsureShip. Give them a call and mention your policy number and ask them to cancel it for you. The amount you paid for the policy would be adjusted for you in the next month's billing for Webgility. To view a list of all policies you have created with Webgility insurance, simply go to Shipping >> Webgility Insurance report. 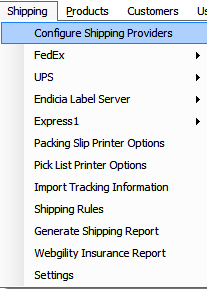 Step 1: Go to the shipping menu and click on Configure Shipping Providers. 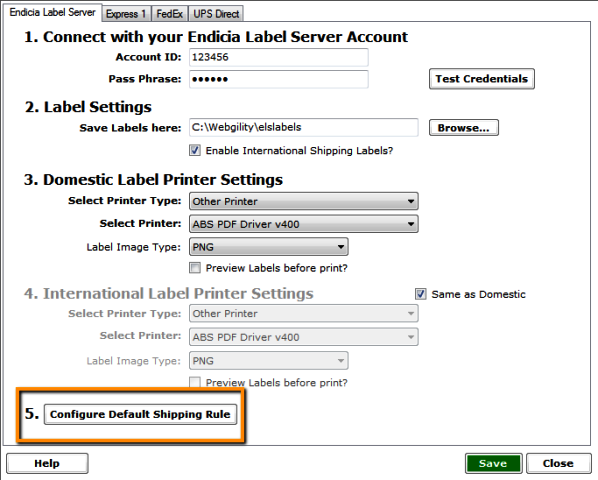 Step 2: Choose Express1 and Click on configure defaults. Step 3: Choose Webgility Insurance as the default insurance provider. Click on learn more to see a brief overview of Webgility Insurance.